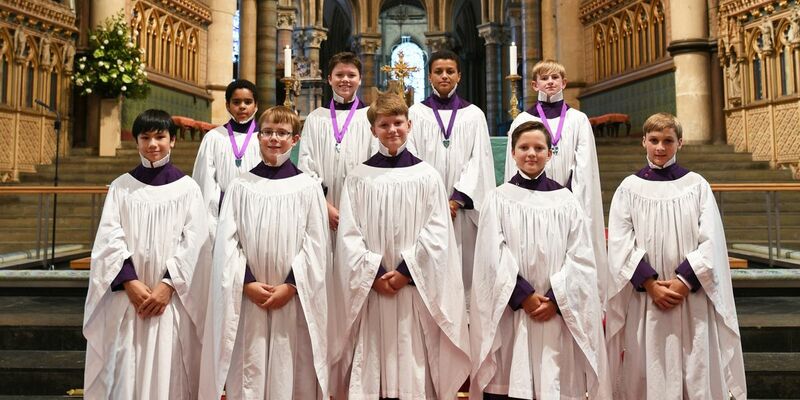 Five of the Cathedral’s choristers became part of Canterbury’s historic tradition when they were formally admitted to the Cathedral Foundation* on Saturday. Charles Alexander, Samson Buck, Frederick Butler, James Hodgkinson and Leo Routh were the latest to have their names added to the membership of the Foundation. Mark Lower from Whitstable (pictured right) was made Senior Chorister during Saturday’s Evensong and fellow choristers Theo Bawtree, Christopher Bufford and Fergus McKie, also in their last year as choristers, were made side leaders. In addition to the Choristers Jeremy Bowyer was also admitted as a Lay Clerk. 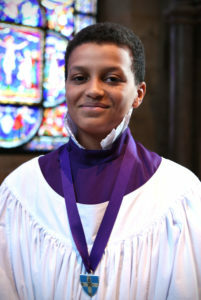 Auditions for new choristers to join in 2019 are to be held on Saturday 10 November 2018. Boys, now aged 7 or 8, who enjoy singing, are invited to try out for the choir. All of the 25 choristers attend St Edmund’s School in Canterbury and there are substantial scholarships available. Canterbury Cathedral choir enjoys the very highest reputation across the world and performs to many thousands of people every year. The choir records regularly and their CDs are highly regarded. The choristers have the opportunity to participate in major tours both in Europe and in America. For further information, please contact David Flood on 01227 865242 or davidf@canterbury-cathedral.org. A short video of the life of a Cathedral Chorister can be seen here. *The Foundation is the term used to describe the historic community of the Cathedral, and includes many of the Cathedral clergy, office holders and musicians who are closely involved in the formal and worshipping life of the Cathedral.